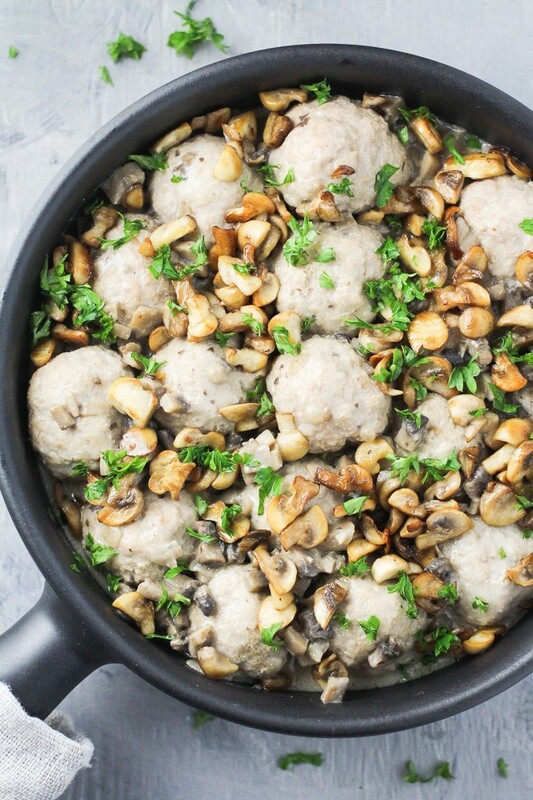 These turkey meatballs with dairy free mushroom sauce are quite easy to make. 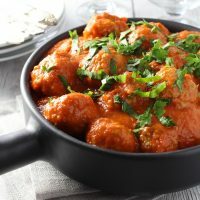 It’s also a good recipe to make some meatballs in advance for the week ahead. 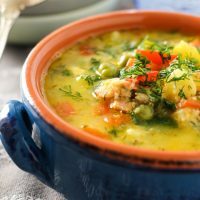 This dish is also very filling thanks to the high protein content in turkey and mushrooms. I made the sauce dairy free. 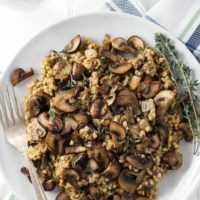 I was at the grocery store buying ingredients for this recipe when I had a crazy idea: what if I skipped making the mushroom sauce from scratch? Maybe I should just buy a can of cream of mushroom soup and save the 10 minutes it takes to chop the mushrooms? I mean, there should be a reason canned soups are so popular? Maybe, they are great, and I don’t know about it? So, I found the canned soup section and took a can to check out the ingredients. Yes, my friends, I am one of those people who read ingredients on everything they buy. You can find me walking through the aisles and reading ingredients on various grocery store items. This is my idea of a fun Friday afternoon :). So, here I am reading the ingredients on a can of cream of mushroom soup. The first ingredient – mushrooms. Excellent! I am excited. The second ingredient – milk. Well, that’s OK. They aren’t claiming it to be dairy-free, so milk is perfectly fine. 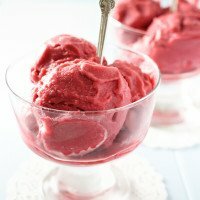 The third ingredient – modified corn starch. Here we go. Although modified corn starch doesn’t mean that it’s made from genetically modified corn, it most likely is. The fourth ingredient – corn starch. What? Some more corn starch? Basically, modified corn starch wasn’t enough, so they added some corn starch. Why don’t they call it a cream of corn starch soup? It would be very popular. At this moment, I thought that I had wasted enough time on this can of soup. I put it back on the shelf and went to the produce section to get mushrooms. The thing is that it only takes about 10 minutes to chop some mushrooms and some onions and make the mushroom sauce from scratch. At least, you will know for sure that you are not going to eat a load of corn starch. 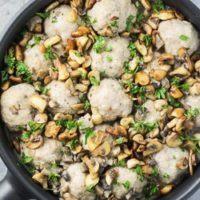 These Turkey Meatballs with Dairy Free Mushroom Sauce are very easy to make. Perfect for lunch and dinner served with healthy grains and veggies or you can also add them to wraps or pita bread. In a medium bowl, mix the ground turkey with bread crumbs, egg and salt. 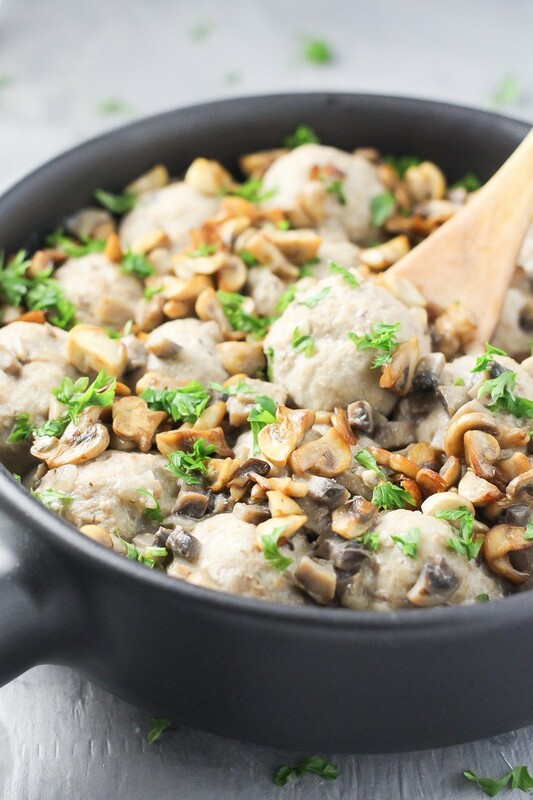 Using a tablespoon, scoop the turkey mixture and form it into small meatballs. Set the meatballs aside. 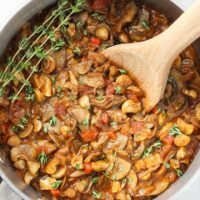 To make the mushroom sauce, heat the coconut oil in a large pot over medium heat. Add the onion and cook, stirring occasionally, until the onion starts to soften, for about 3 minutes. Add the mushrooms and cook, stirring occasionally, until the mushrooms are soft and reduced in volume, for about 5 minutes. Add the coconut milk, garlic powder, pepper and salt (if needed). Stir. Bring to a simmer and carefully add the meatballs. Cover and cook for about 12 minutes or until the meatballs are cooked through and are no longer pink inside. Turn the meatballs a few times during cooking so that they cook more evenly. 1. 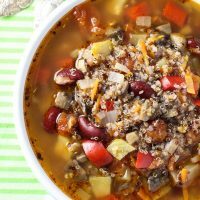 Serve over quinoa or buckwheat. 2. Nutrition information is a rough estimate for 1 of 5 servings.